Kuala Lumpur (VNA) – US Secretary of State Rex Tillerson arrived in Malaysia on August 8 and met with Prime Minister Najib Razak to discuss bilateral ties, trade, terrorism fight and international issues of mutual concern. 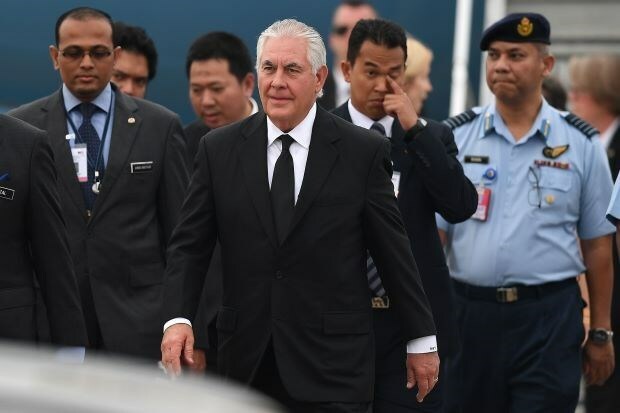 The 50-minute meeting took place right after the US Secretary of State landed in Kuala Lumpur airport, starting his two-day trip to Malaysia. Tillerson is the first US senior official under the administration of President Donald Trump who has come to Malaysia, showing the US commitment to bolstering bilateral relations with Malaysia. During the visit, the US official is scheduled to meet with Malaysian Deputy Prime Minister Ahmad Zahid Hamidi.